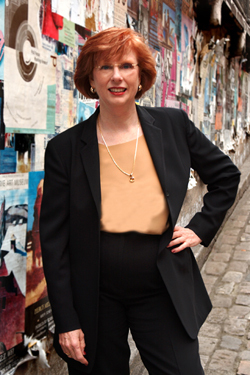 Fran Fisher, author of Violet’s Vision, is an international speaker, published author and pioneer in the field of personal professional coaching. This is a three–hour experiential workshop, custom designed for corporate executives who represent the current or next generation of leadership in the organization. Ideal participants recognize the need for professional development on a personal level. Executives may be engaged in succession planning, or beginning to think about retirement, preparing themselves and the organization for the inevitability of movement and change. Fran Fisher is a former business owner. She shares candidly and generously from her personal experience, revealing her own mistakes in business and how she leveraged her learning into pure gold. Fran has coached hundreds of small business owners. Mistakes are for Learning is a rich and inspiring cornucopia of her personal and client stories of failure, heartbreak, and breakdown, as well as breakthrough, learning, and victory. Those who rose from the ashes gleaned insights, new perspectives, and unexpected outcomes. Mistakes are for Learning can be customized as a luncheon presentation or ideally, a 3-hour interactive, experiential workshop.